IkB is a new moonlighting protein. 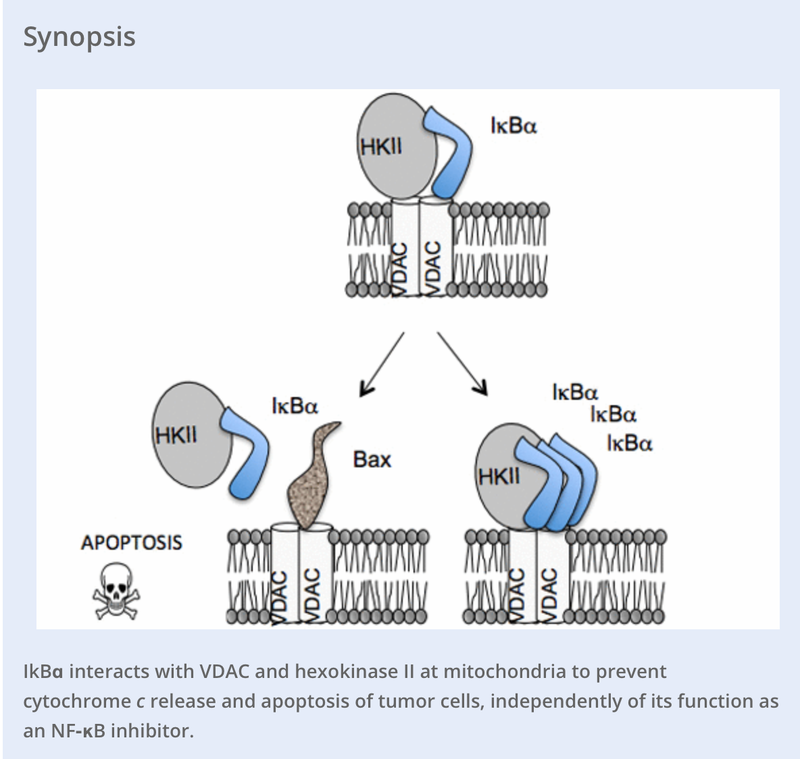 Stefan Grimm and collaborators, last month: “IκΒα inhibits apoptosis at the outer mitochondrial membrane independently of NF‐κB retention” [Evangelos Pazarentzos et al., The EMBO Journal, 2014]. A summary of their findings in cartoon form is reproduced below. So far, I have only read through these examples from Stefan, a prolific scientist studying mitochondria. I read his papers following the news that just reached me. You will be missed Stefan. Briefing on the state of affairs in the UK academy starts counting its dead. @BenjaminCochain It's not even that. It's "get grants (with overheads possibly) or perish"
Reblogged this on Chaos Theory and Human Pharmacology.